How to set up your new Instagram account to make big profits one it’s established. The following article was submitted by one of our readers. Thank you! Instagram is blowing up, and it’s becoming apparently clear that this app is Facebook’s answer to Snapchat. In fact, a lot of technology industry veteran observers are saying that Snapchat is essentially a one-trick pony. Depending on how you look at it, it may be on its last leg unless it can get its act together. Whatever the case may be, Instagram is on the rise and it continues to grow every single day. It’s getting more and more users, and it’s constantly expanding on its features. 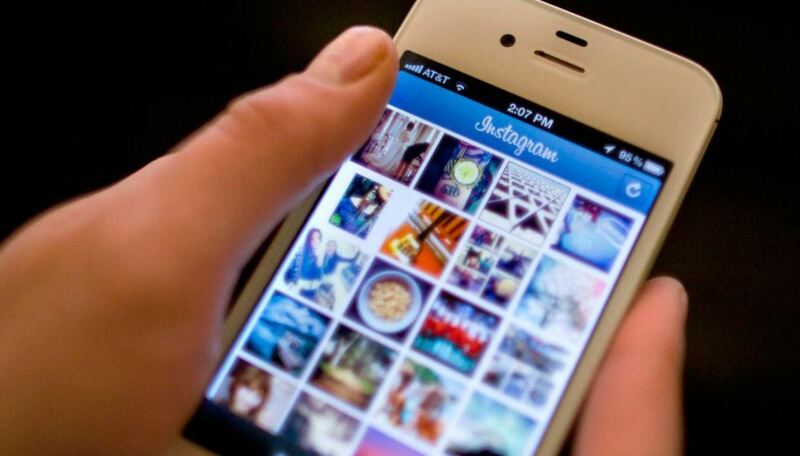 It’s no surprise that a lot of people spend a tremendous amount of time on Instagram. Well, given the huge active membership base of this platform, your Instagram account can make money. Really. Just by opening an account and building it right, you can make money. There are lots of brokers out there that buy and sell social media accounts, so you don’t have to worry about finding a buyer for your account once you have built it up to a certain level. How exactly can you make money? Well, there are a few ways. You can sell the account, you can sell shout-outs, or you can get sponsorships. Your first impression might be that we’re talking about chump change, but think again. Even if you just sell shout-outs, you might get so many orders per shout-out that you can easily make hundreds of dollars per day. With sponsorships, it can vary tremendously from a few hundred bucks to five figures or even six figures. It all depends on your following as well as your niche specialization. Now that I’ve gotten you excited about making money with your Instagram account, here are the eight steps to set it up properly. Have you ever noticed there are really not that many stock exchange-themed accounts on Instagram? That’s for a good reason, because how many times can you post snapshots of the New York Stock Exchange ticker board? Look for niches that are Instagram friendly. In other words, they make for great pictures. The first things that come off the top of my head are clothing, luxury goods, food, and fashion accessories. Now that you have found a commercially lucrative niche, then the next step is to find niche leaders on Instagram. These are people who are already posting photos about that lucrative niche. You should pay attention to the types of photos they share and also the kind of themes they share in common. Start with these. Now that you know that competitors in your niche tend to have a specific spin as far niche content is concerned, create a better persona based on what you’ve seen your competitors do. Try to outdo them. Try to come up with something that communicates better value. Now, this doesn’t happen overnight. In a large part, you’re basically figuring things out as you move forward. It really is a hit or a miss at this point, but when you look at your niche leaders, you have an initial place to start. Still, you need to create a better persona regardless of the fact that you’re going to be using trial and error to get there. Now that you have a clear idea of the types of photos your competitors are using, and you have a clear idea of the niche you’re targeting as well as the image you’re trying to establish, the next step is to come up with content. Look for pictures and videos that really crush your category. In other words, when people think about your niche, people would want to view your account because you have the best stuff in your niche. Do research on your niche, and you’d be surprised as to how many people already follow your niche. These are people who already post a tremendous amount of stuff in your niche. Well, tag them. Sure, a lot of them won’t tag you back, but some will. If you keep this up, enough of them will tag you back. When that happens, you win. Why? These people followed because they specialize in certain niches and when they mention you by giving you a shout-out, they lend their credibility to you, and this can lead to quite a number of their followers checking you out as well. Shout-out swaps or exchanges are pretty straightforward. One account that is trying to gain more followers would shut out an account that already has a lot of followers. The other account would then respond in kind. The whole point here is to swap some of your users, and for the most part, this works because if people are interested in a specific category of pictures, they really wouldn’t be that picky as to the source of those pictures as long as the pictures meet their expectations, they would be very happy. If you notice that your competitors are hawking all sorts of merchandise, or they are flogging an e-commerce link all the time, click on that link and contact the company behind that online store or service website. Tell them you have X number of followers and you post lots of materials which get engagement and make yourself available. Chances are they would also want to advertise with you. Now the problem here is that you should not expect a tremendous amount of money. Just get your foot in the door. If they’re just going to pay you $50, then take it. The key here is to give them a taste test of just how niche specific your brand is and also how much targeted traffic you can drive to their website. If you notice your competitors’ sponsors tend to be the same company, reach out to their competitors. Tell them all about Instagram. Tell them about your niche-specific following and make them an offer they can’t refuse. What is that offer? Well, their competitor is having a field day being promoted by niche leaders on Instagram. Now is the golden opportunity to advertise with another niche leader. This way, you can grab eyeballs and directive them to that competitors’ website. That pretty much concludes my tips! I would like to thank BuySellAccounts.com for publishing this article.